I am a teacher. I have an AAS Degree in Early Childhood Education. I 'm employed with NACOG (Northern AZ Council of Governments where I've partner with families serving and assisting in the development of children from infants to 5yrs for 8+ years. Writing has always been a desired passion of mine, but when my grandchildren came along, I knew then, children's literature was my genre. Author Harris does a beautiful job of explaining the issue that everyone must deal with and gives excellent ways of handling this issue in a positive and well thought out manner. Illustrator Natalya Kharitonova does a fantastic job painting the picture so vividly so the young reader can see what the author’s words are intending to describe. 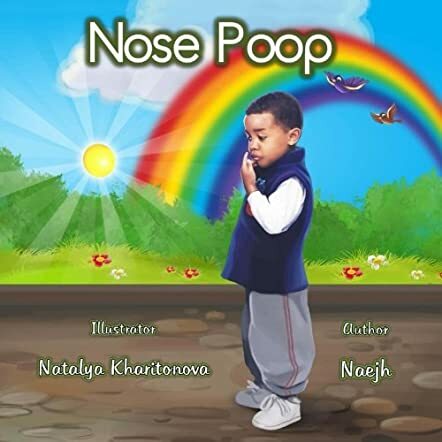 This would be a fantastic book for every school library, public library, scholastic book fair and for any parent that wants to help their child in this manner. This book is not written to embarrass, but rather to deal with a delicate subject matter positively.